I’m passionate about working with different people and creating a positive and collaborative team spirit within project teams. Pierre specializes in transformation projects and digitalization. 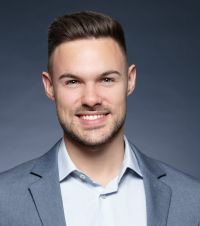 His bachelor's degree in Business Law and his master's degree in Business Restructuring and Insolvency Management means that he possesses the expertise required to handle a broad range of different consulting projects. He has obtained an MIT-certificate on Artificial Intelligence. His past activities with Ernst & Young and BDO AG Advisory have given him the opportunity to apply previously acquired skills while enabling him to add to these the analytical and methodological skills required for the implementation of due diligences, company valuations and the development of reorganization plans. Pierre’s selected project experience is around workflow redesign and automation, operating model adjustments and large-scale training programs.